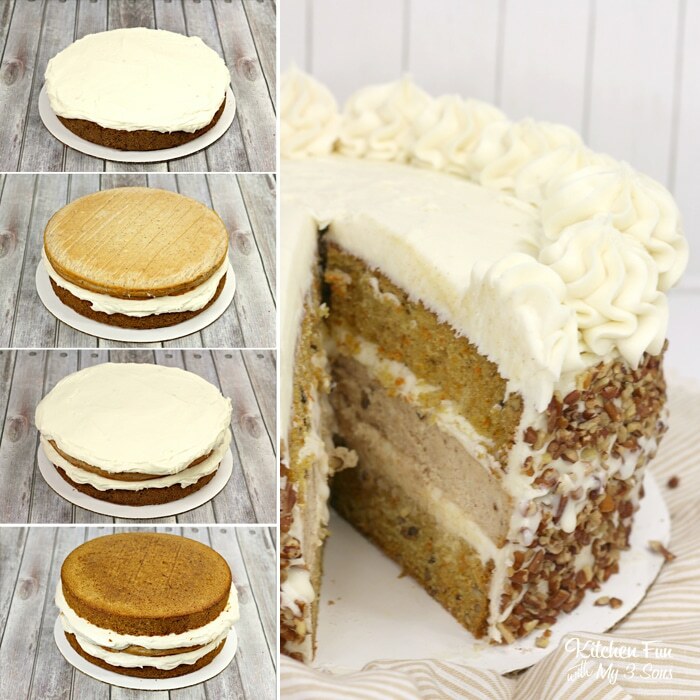 This Carrot Cake Cheesecake Cake recipe is layered with moist cake, cream cheese frosting and cheesecake. 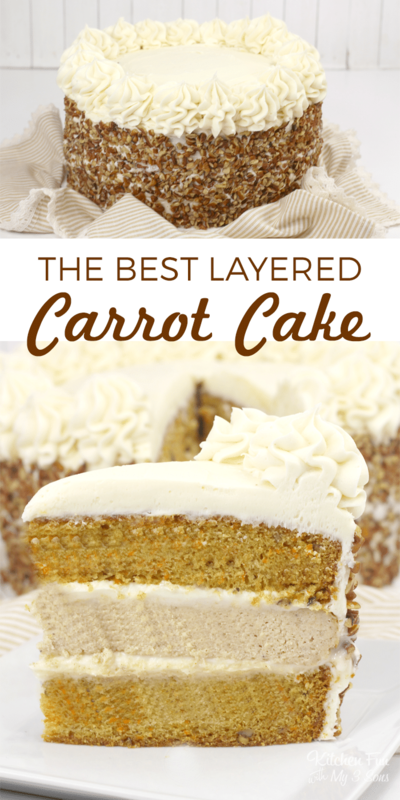 This is the best way to make a carrot cake! After making our delicious Carrot Cupcakes, we decided to keep our love for this dessert going. 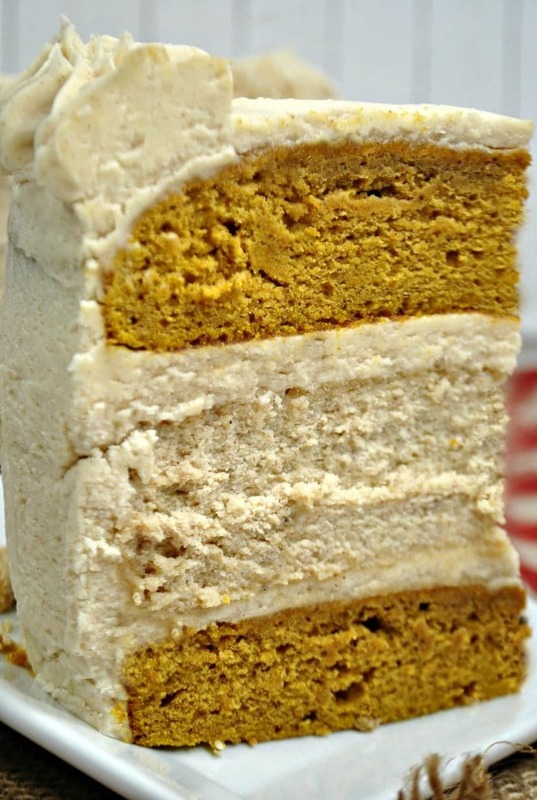 Not only did we perfect our carrot cake recipe, but we added in a layer of spiced cheesecake for good measure. Go big or go home, I say! 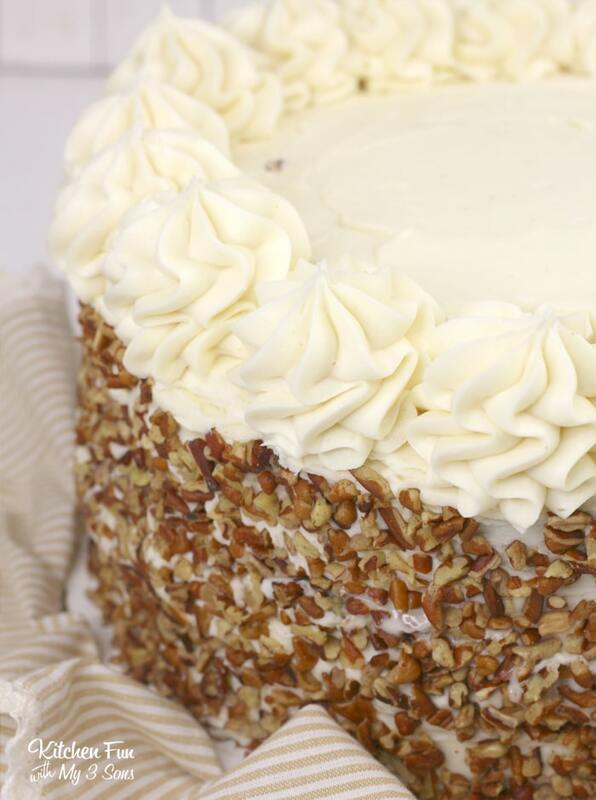 I distinctly remember turning my nose at carrot cake for the longest time. Why would I ever want carrots inside of my cake?? The idea seemed crazy to me. Can you imagine being the first person to create this idea? I have to believe a lot of people thought they were totally nuts. After seeing person after person not only eat this vegetable-filled cake, but really love it, I decided to give it a try. I’m sure you know now how it went: I loved it, too. I only wish it hadn’t taken me so long to realize it! For the base cake layer, start by mixing the sugar, oil and eggs together first. Once that is creamed together, you’ll add the rest of your dry ingredients. Finally, fold in the carrots and nuts. The cheesecake layer is next up while you let your cake cool. Make sure to follow the exact order when mixing your ingredients. You definitely don’t want to dump everything in together at once. Big no no! Quick tip: for the cheesecake, make sure you are using full fat sour cream. Last, you’ll make your homemade cinnamon cream cheese frosting. (I could eat this stuff right off the spoon…) Cream the butter and cream cheese together first, then add the powdered sugar and finish it by adding cinnamon and vanilla. 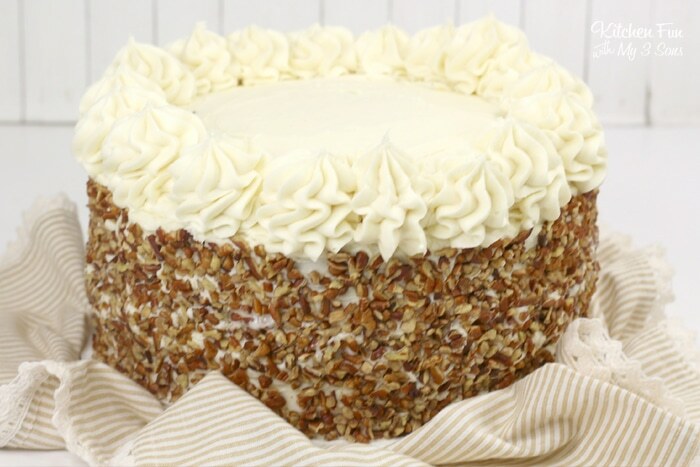 This Carrot Cake recipe is layered with moist cake, cream cheese frosting and cheesecake. Using a standing mixer, cream together the cream cheese, sugar and flour together until combined. Mix in the sour cream, vanilla extract and and spices and mix on low speed until well combined. 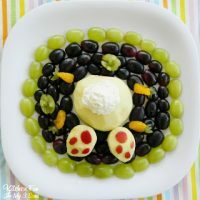 Mix in the eggs one at a time, mixing slowly and scraping the sides of the bowl after each addition. Pour the cheesecake batter into the lined springform pan. When the timer goes off, turn off the oven and leave the cheesecake in the oven with the door closed for 30 minutes. When the 30 minute timer goes off, crack oven door and leave the cheesecake in the oven for another 30 minutes. 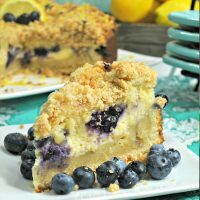 Using a large serrated knife or a cake sliced, slice off the domes from the top of the two cakes. Spread about 1 cup of frosting evenly on top of the cake layer. Use the aluminum foil to lift the cheesecake out of the springform pan, remove the foil and place the cheesecake on top of the cake. Spread another cup of frosting evenly on top of the cheesecake, then add the second layer of cake on top. Frost a crumb coat onto the outside of the cake. Once the hour is up, remove cake from fridge and frost entire cake. 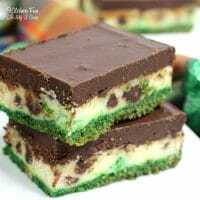 Place the cake onto a baking sheet. Cut the cake in slices and enjoy! Next Post » Frozen 2 is Coming! Here’s Everything You Need to Know.